In the previous post, I have briefly discussed what PBXact System is and how you can benefit from it. Today, I am going t walk you through the three main popular PBXact UC solutions and help you pick out the right phone system you desire! The PBXact UC Series includes six phone systems but today we will focus on the three most popular systems: the PBXact UC 40, the PBXact UC 100 and the PBXact UC 1000 system. 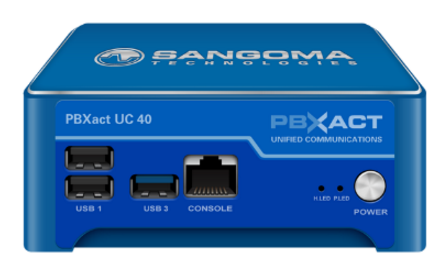 The PBXact UC 40 is the smallest on-premise based appliance in the Sangoma PBXact family that is built for small businesses looking for a simple solution without bells and whistles. The PBXact 40 supports up to 40 licensed users and 30 simultaneous calls. It is an advanced on-premise turnkey unified communications platform which integrates all your business real-time voice and IP telephony applications into one full-featured experience. 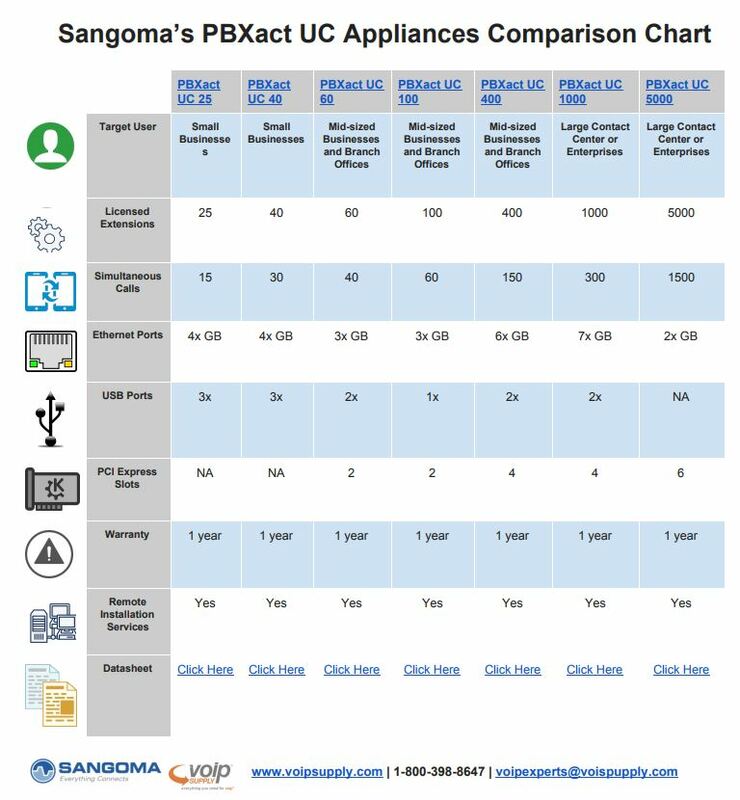 Check out the PBXact UC 40 datasheet here! The PBXact UC 100 is a user-friendly appliance that supports up to 100 users or endpoints and 30 simultaneous calls. This solution can be easily deployed within minutes and it includes a web-based user interface. Designed for mid-sized businesses, the PBXact 100 comes ready with the ability for analog connection. This UC platform is closely integrated with the most popular phones and endpoint offered in the VoIP market. Check out the PBXact UC 100 datasheet here! The PBXact UC 1000 is a fully feature business phone system suitable to expand to large contact center environments. The PBXact 1000 is able to handle up to 1000 users or endpoints and 300 simultaneous calls. This system is designed with business communications in mind to integrate with a wide range of IP phones and endpoints. Check out the PBXact UC 1000 datasheet here! Still can’t find your perfect match? Give me a call at 866-583-0815! I will be happy to discuss your requirements and help you find the ideal solution that meets your business needs.